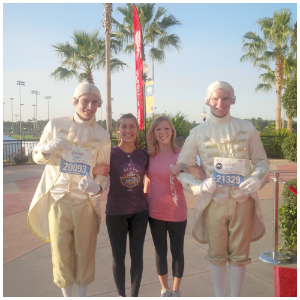 Great race selections for both of you! There's many things to go into consideration when I think about the race I'm most proud of - how well prepared I was, my race day performance, my finish time, the course conditions, etc. Great race memories! One of the races I am most proud of NOW made me the most angry at the time. I ran the Columbus marathon in 2009 expecting to BQ, went out waaaay too fast then hit the wall hard by mile 18. I had to death march it in. What I'm most proud of is I never gave up through that agony and still salvaged a BQ. That race definitely taught me a lesson about pacing. 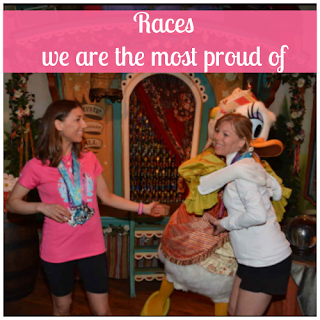 Oh it is fun to hear about what other runners are particularly proud of! It's not always a PR! It is really hard for me to say what I am most proud of because different races mean different things to me. I was really proud of my marathon PR because I was in the best shape of my life for that and I worked REALLY hard. I mean, that was such a great day and I earned it. It was also cool that the race was in downtown Harrisburg, where my dad works, and he was able to sneak out of work and see me around mile 3 and then again at mile 26. I was so surprised to see him at that last mile and I was so happy he got to see me perform my absolute best and be proud of me. And to think I quit HS track after the first practice... and right after he bought me expensive running sneakers! Aww what a great story! Glad your dad got to see you run! Fun memories! My proudest races were probably the first half marathon I ever did and especially my first tri race. I never imagined that I could actually do it! 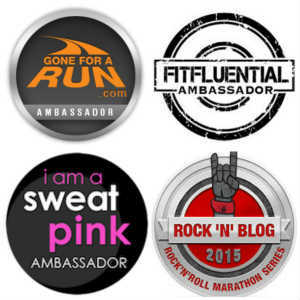 My first half marathon will always be special to me too! It's interesting to hear what your proudest races were - like yours, mine is not my best time, but one that I had the most mental strength for (the BCS Half Marathon that I ran by myself last December). I agree they are all special in their own way! I never stopped to think of my races that way. 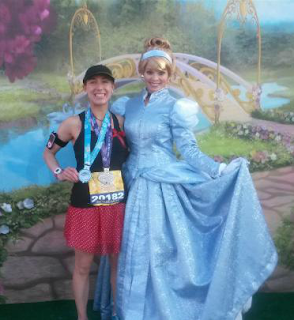 Through enjoyment I'd say my first one, the Princess half marathon, and the least fun was the one I did in Dallas. I don't know why, but my town seemed so boring when I was running it. 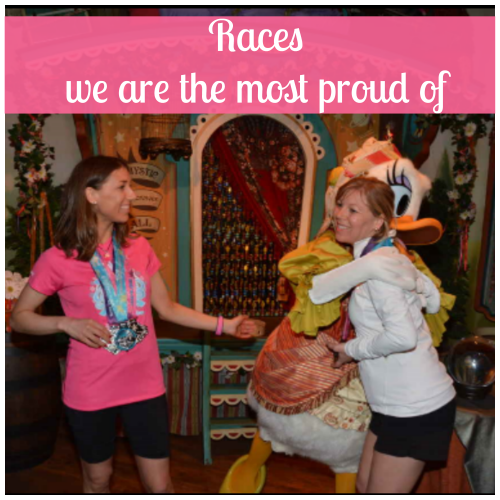 Disney races always rank as the most fun don't they? What a great topic!! I may have to borrow it (linking back to you, of course!!). I think my two races I'm most proud of that actually involved me crying in joy at the end was the Disneyland Half 2010, which was my first half and Goofy Challenge 2013, which included my first full. I was never a runner until I heard my favorite place had a half marathon. I signed up the next day without having even done a 5K. I was scared to death that I wouldn't finish! I will never forget that feeling of accomplishment. 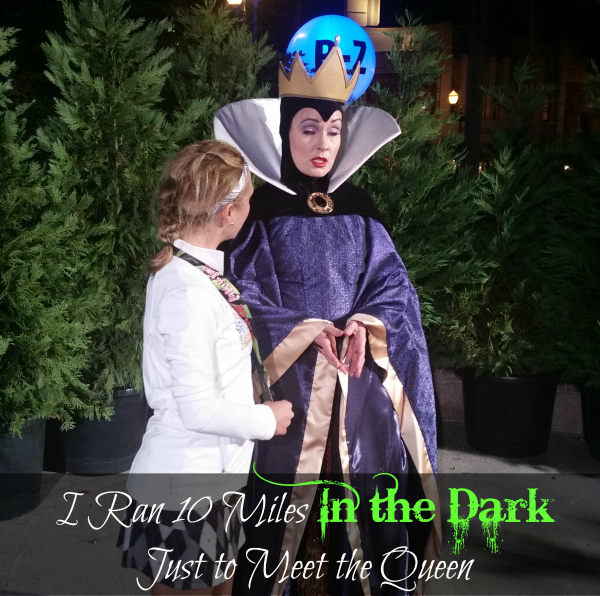 I've never run a race before either until I heard there was one at Disney. That opened up a whole new world of running! I love how everyone is the most proud of different races for different reasons. We all show up for races differently, so sometimes we totally kick trash at a 5k and struggle with 13.1. My best race was a 10k -- I felt like I was flying! There's no better feeling! I love those races where I feel like i'm flying! I'd have to say my first marathon. After having food poisoning, I could have just said I wasn't going to run. And at any point, I could have stopped and no one could have faulted me. I believe that my training really payed off here and while no race can be perfect, a good foundation can make things possible. It was a horrible time and I felt sick the whole time, but I finished. I know if I could finish that, I can finish anything. Yes, you could have not run and no one would have blamed you for it but you did awesome! You are right, you can do anything now! Love your race picks! I think the Princess Half last year was the happiest I have ever felt. I enjoyed the course and I was so happy to be running after five weeks in a boot and I felt great. I am proud every time I cross the finish line, it just feels good! it is all about making memories! Yes, no matter what the race is, crossing the finish line is an amazing feeling. Great choices. Memorable races are not always about getting a PR, although they are nice. I think it's about that wonderful sense of accomplishment. I get more of that feeling when I've finish something that was incredibly tough or if I struggled and persevered. Love the reasoning for your choices. I am most proud of Boston due to food poisoning and being advanced in age! :). So happy I had my sister by my side to make it such a memorable day! I think I was most proud of my marathon this year. Even though it wasn't my first marathon, I was just proud that I was able to finish strong with such a lack of training. Great memories, I am probably most proud of the Nashville full. A hilly course that poured rain the whole time, yet still my PR. I think what makes me most proud of a race is knowing that I gave it my all and I tried my hardest!